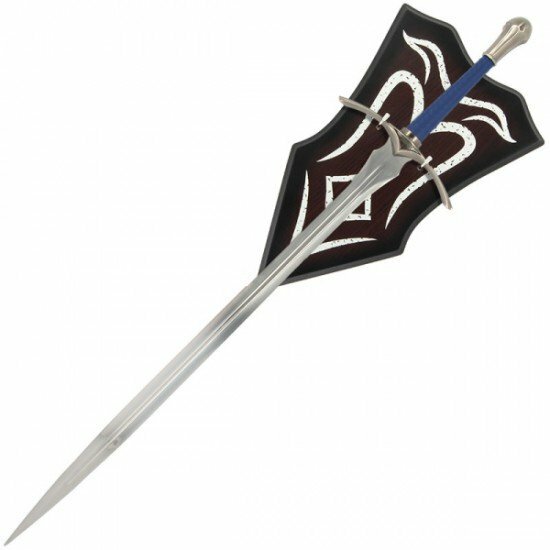 Gandalf style sword, complete with mountable display plaque. The sword is easily lifted in and out of the pegs on the display plaque. Some very basic assembley of the plaque is required. The plaque is mountable on wall screws. 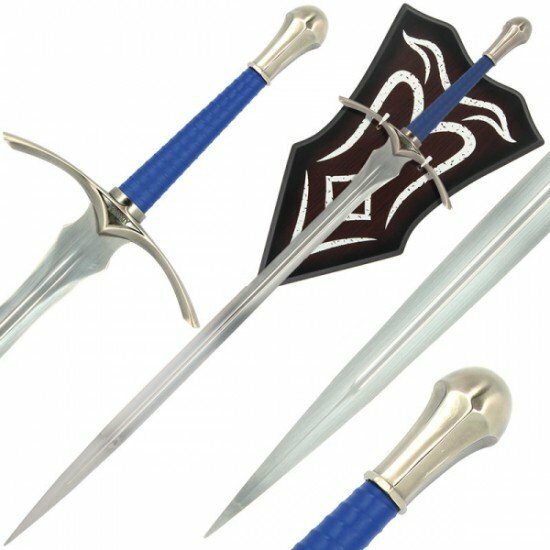 Elvish writing is on the hilt which translates to 'Glamdring', the name of the sword.